Sports car manufacturer Lotus has been brought by Chinese automotive giant, Geely Holding. Group Lotus is a wholly-owned subsidiary of Malaysian firm, DRB-HICOM, the company that also owns Proton. The deal announced that Geely Holding is to acquire 49.9 percent of the shares of Proton and become its exclusive strategic partner. 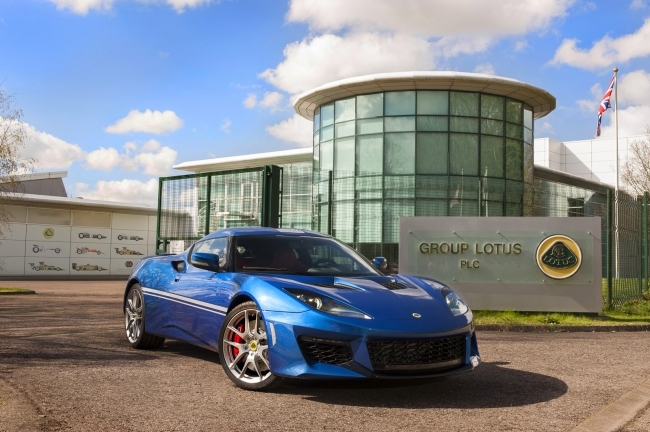 Geely Holding will also acquire a majority share of 51 percent of Lotus. Both parties expect to sign the definitive agreement by mid-July 2017 subject to regulatory approval. The company says this agreement lays the foundation for a wider framework for both Geely Holding, Proton and Lotus to explore joint synergies in areas such as research and development, manufacturing and market presence. Geely Holding is committed to supporting the transformation of Proton and Lotus with the expertise and resources within the wider Geely Group. Geely Holding Group has built a strong record in global acquisitions; the group acquired Volvo Cars from Ford Motor Company in 2010 and acquired the London Taxi Company in 2013. Both Volvo Cars and London Taxi Company have benefited from joining the Geely Holding portfolio of brands due to strong internal synergies, robust and globally focused management, and access to innovative technologies. Only last month the London Taxi Company announced an additional £30m was to be invested in the plant at Ansty near Coventry to enable electric vans to be produced at the site, which took total investment made by parent company Geely, to £325 million.